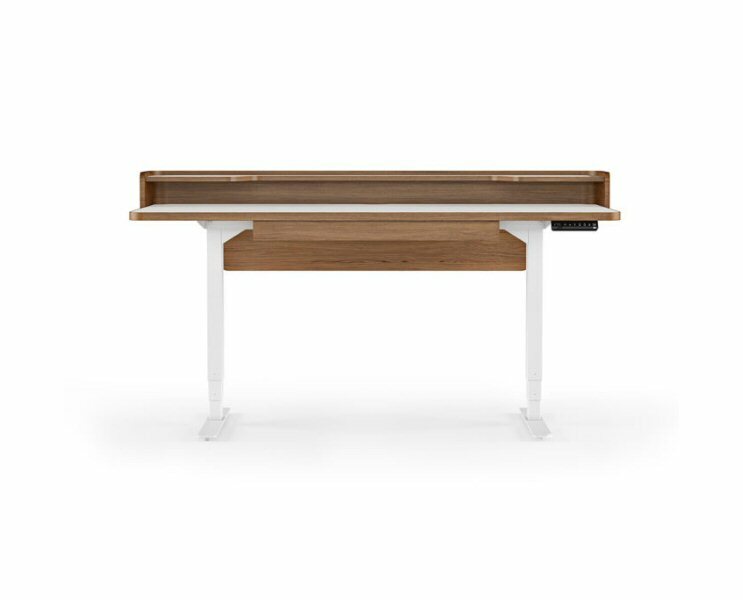 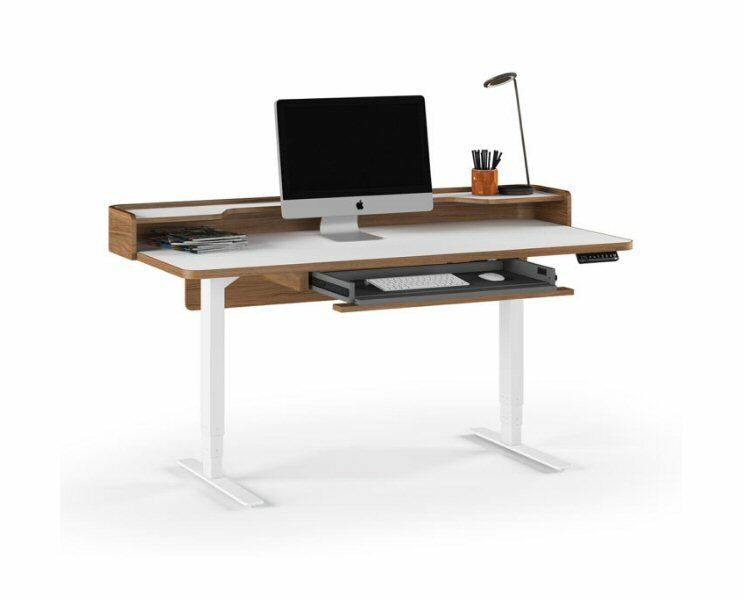 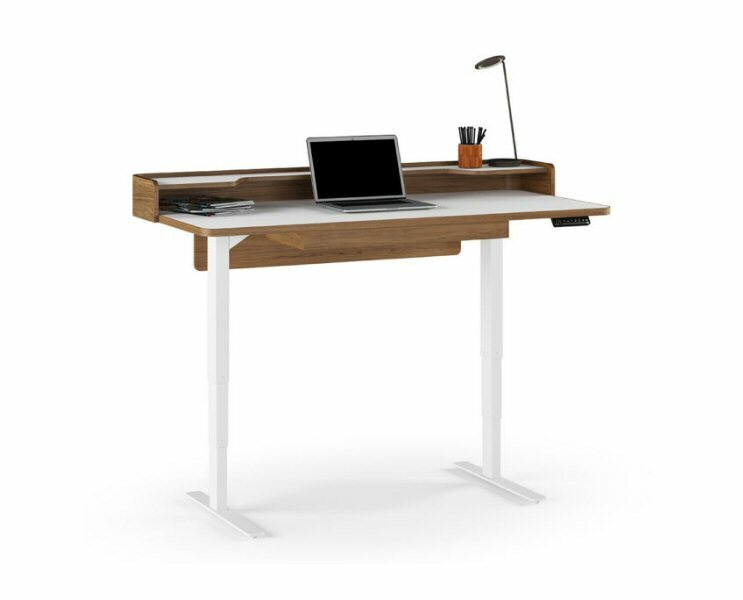 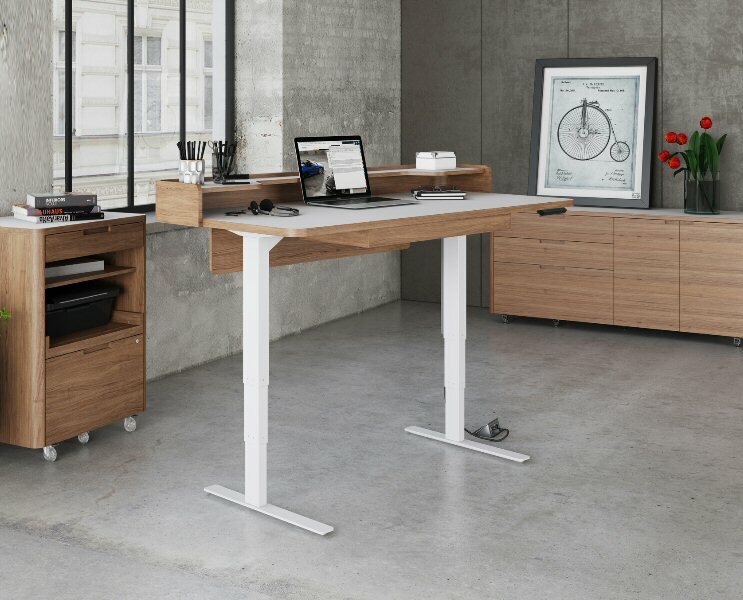 BDI Kronos 6752 Lift Desk is an electronically adjustable sit+stand desk that features a unique mezzanine shelf to help keep your workspace organized and clutter-free. 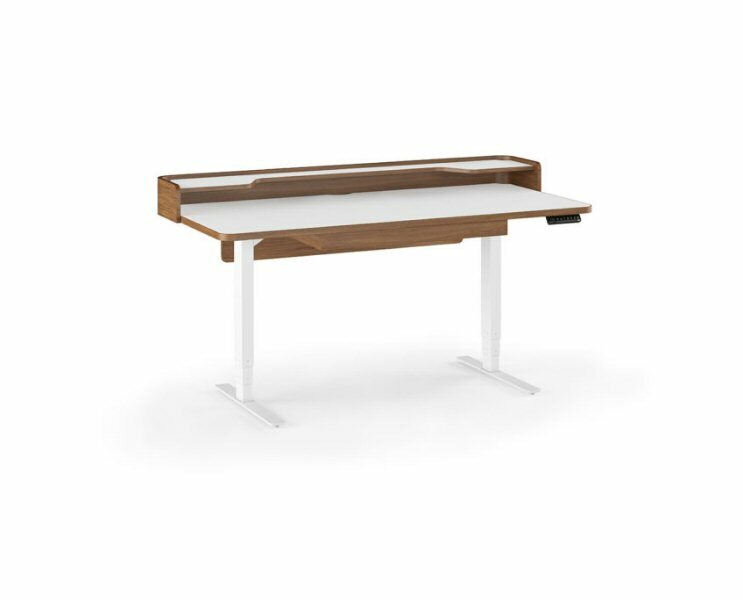 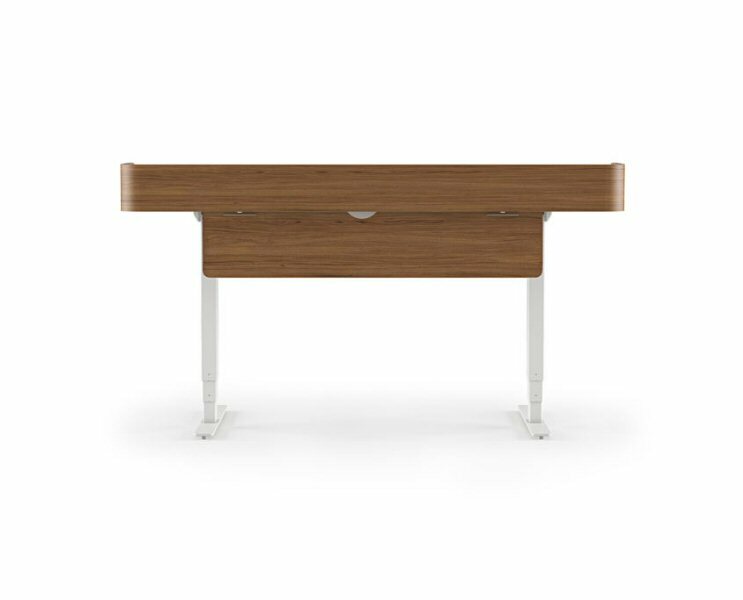 The distinctively designed Kronos Office Collection features ultra smooth and durable work surfaces, which are accented by beautiful walnut veneers. 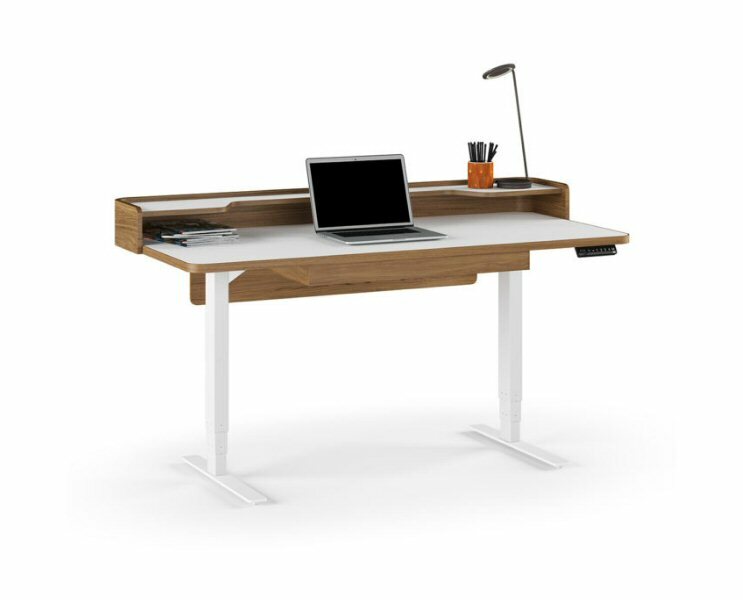 This unique collection includes the Kronos 6752 Lift Desk, along with matching Mobile File Credenza and Multifunction Cabinet.